Volume 2 covering the lower churchyard and the area for interring ashes at the back of the upper churchyard. Each volume has photos of all the graves and memorials, a transcription of what is inscribed on each and some details of the people interred. Jamie Brooks Fisher has prepared beautiful hand-drawn plans of the churchyard. Tony Brooks and Ian Buckingham have been hard at work in all weathers finding, clearing and to an extent cleaning graves so that they could read the inscriptions. Amanda Spence and Mark Buckingham have helped with the photography. All of this has built on earlier work by James Tree and his team who transcribed the burial register. A collective project and we are very proud of the result. It is better than we have seen for any other parish in Britain! Copies have been placed in the church, the Lodsworth Community Archive and other local and national archives. If you really wish, you can purchase copies from us at cost – £10 a volume. Click on the headings below to see the documents. A number of histories of our village and its surrounding area have been written over the years. One such was written by the late Rev. 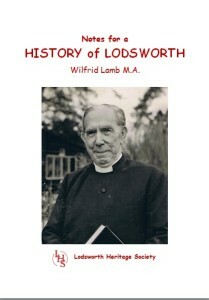 Wilfrid Lamb MA, the Vicar of Lodsworth between 1955 and 1961. His Notes for a History of Lodsworth are a fascinating insight into the early life of the parish and contain many delightful anecdotes and stories of the families and characters who lived here. A reprint is now available – cost £7. We have searched through published books and other sources to construct a timeline of notable events in Lodsworth’s history. 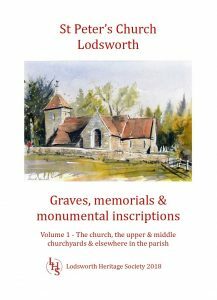 Purchase your copy from Lodsworth Larder or have a look at it here, and contact Ian if you have additional information. Many families participated in our event during the 2011 Lodsworth Festival. If you were unable to follow the trail at the time, you can download a copy of the trail map and guide so that you can follow the route whenever you wish. 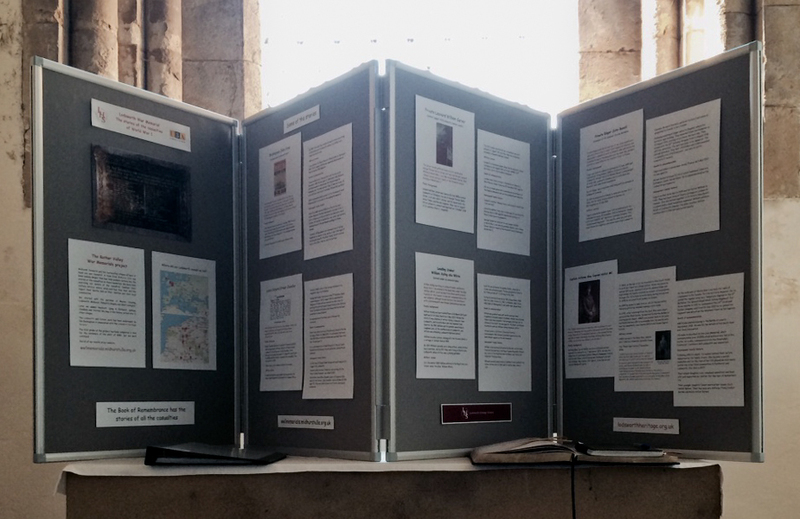 Once you have completed the trail, download Children’ heritage trail – Answers to see how well you did. Recently a group of Society members visited West Sussex Record Office for a workshop entitled Researching the History of your House. The workshop comprised a briefing, followed by an extensive tour of the Search Room and behind the scenes. Some members stayed on to pursue their own research. Click on the link above to view the slides used in the briefing. 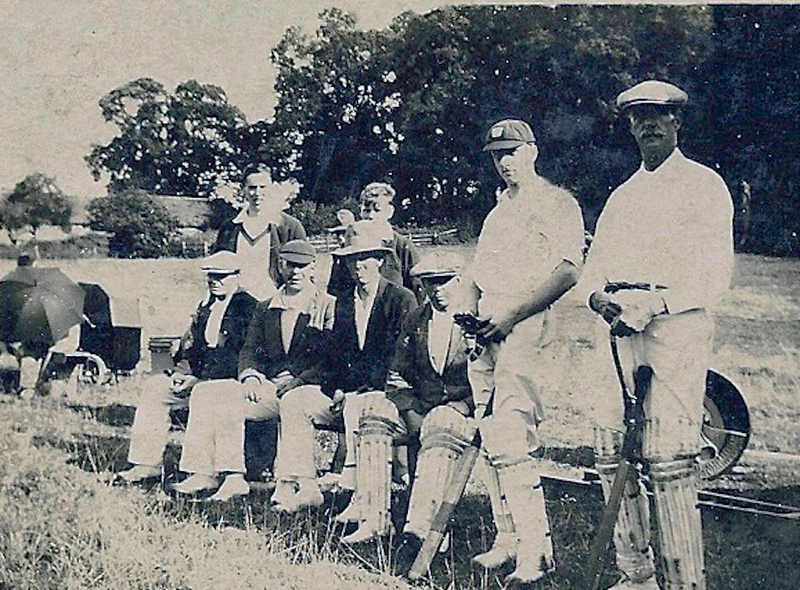 In 2011 over 60 attended an illustrated talk by James Fisher on the history of sport in and around Lodsworth. 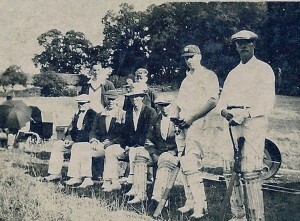 Many of those attending had themselves participated in the sports that included cricket, football and stoolball. During the evening, audience participation enabled many gaps to be filled and errors corrected. This illustrated document has benefited from this feedback and from subsequent research following up leads from that meeting.